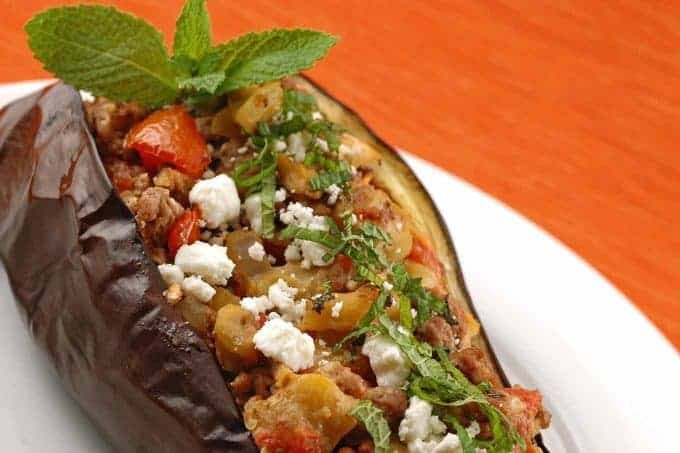 If you’re fan of both eggplant and lamb, the Mediterranean flavors in this dish are a real winning combo. Accompanied by a green salad with a classic vinaigrette, it makes a complete and virtually carb-free meal. 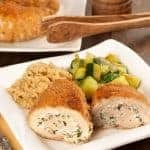 Don’t be fooled by the fact that the instructions appear a bit lengthy; the dish only takes a little over a half-hour to prepare and cleanup is minimal, making it a nice choice for weeknight dining. 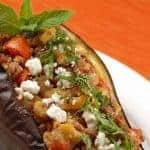 Eggplant, baked and stuffed with a combination of ground lamb, fresh tomatoes, onion, garlic, goat cheese and fresh mint captures Mediterranean flavors at their best. Preheat the oven to 400°F. Line a 9-inch square baking dish with aluminum foil and spray the foil with nonstick coating. Slice the stem from the top of the eggplant, then cut it in half lengthwise. Scoop out the interior flesh of the eggplant, leaving a shell that is between 1/4 and 1/2-inch thick. Working quickly, chop the flesh into 1/2-inch cubes, sprinkle with a bit of salt and set aside. Lightly brush the insides of the eggplant shells with olive oil, season with salt, and place them, cut side up, in the baking dish. Roast for 10 to 12 minutes, or until they develop a light golden color and begin to caramelize. While the eggplant roasts, heat 1 tablespoon of olive oil in a large pan over medium-high heat. Add the ground lamb and sauté, breaking up large chunks with a spatula as it cooks. Add the salt and continue cooking until the meat is cooked through, transfer to a bowl, draining off any excess fat, and set aside. Return the pan to the heat, wipe out any excess fat, and add 1 tablespoon of olive oil. Add the onion, sauté for about 2 minutes until softened, then add the garlic and cook until it begins to turn golden. Add the reserved chopped eggplant and the remaining tablespoon of olive oil. Continue cooking until the eggplant is soft and begins to caramelize, 3 to 5 minutes. Add the tomatoes, cook for another 2 or 3 minutes, then add the ground lamb back to the mixture and heat through. Stir in the crumbled goat cheese, fresh mint and toasted pine nuts, taste, and add salt and pepper as needed. 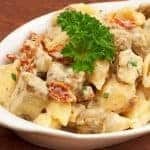 Remove the eggplant shells from the oven and distribute the lamb-eggplant mixture evenly between them. Return to the oven for 6 to 8 minutes. 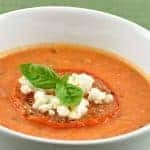 To serve, top with some additional fresh mint and goat cheese if desired. 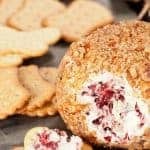 Hmmm this recipe looks so delicious and nice and fits perfect with my taste and in my opinion is a very easy recipe, so I think I will try it. Thanks for sharing.